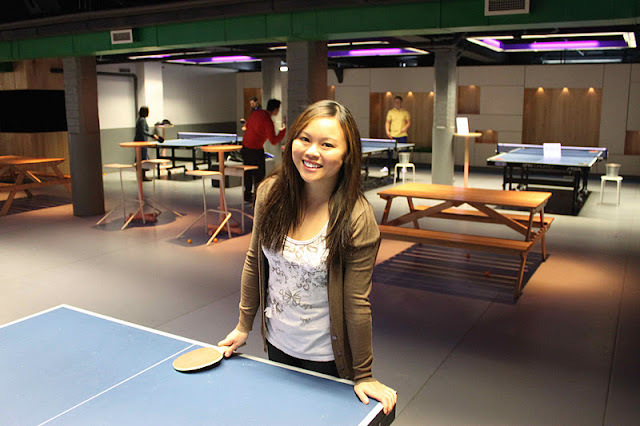 The Hip & Urban Girl's Guide: Activity-A-Week: Go Play Ping Pong! 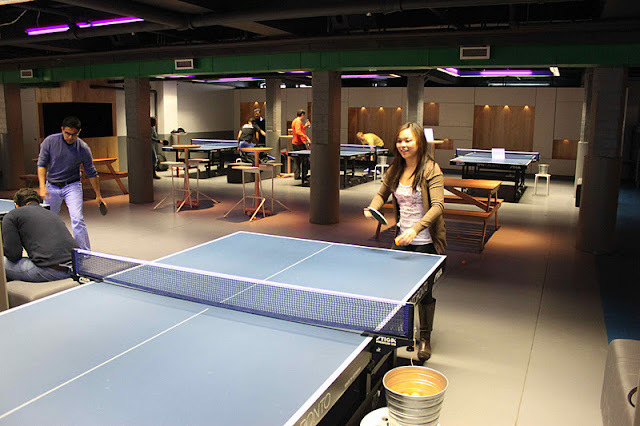 Activity-A-Week: Go Play Ping Pong! Our Activity-A-Week series continues! We are trying a new way to stay active outside of the gym every week for one whole year. 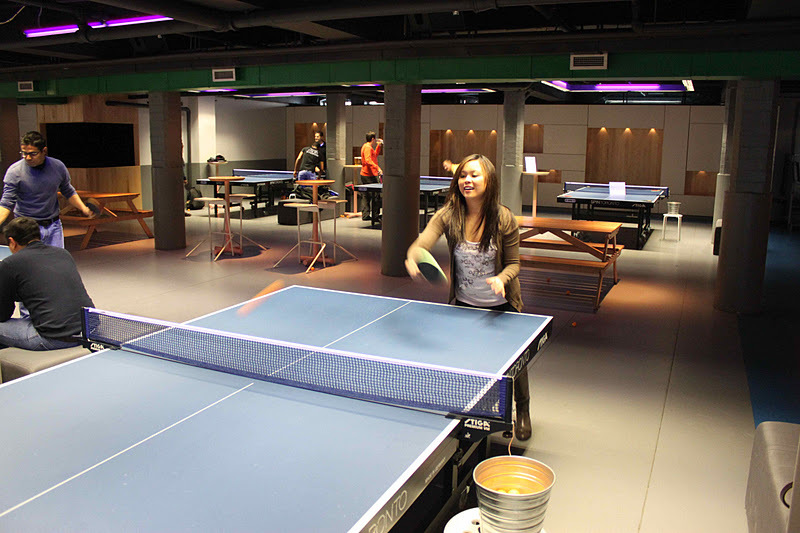 This week we headed to SPIN Toronto, a new ping pong lounge that opened up on King West last fall. I was actually surprised to learn that the average woman can burn around 230 calories/hour playing ping pong. Which for me, beats trying to burn that on a treadmill. Ok, I know, I know - ping pong is a pretty low-impact sport...BUT it's still better than me sitting in front of the TV eating nacho chips and scooping up salsa. I'm an advocate of anything that gets you moving, because every little bit counts. I skipped the Caesar this time around...but it looked oh-so-good. Instead, I opted for a cranberry soda (trying to keep things light). Drinks at SPIN are served up in these awesome BALL (ha-ha) jars. For those looking to kick back, the bar is fully loaded with lots of interesting beers on tap. Susan Sarandon even approves of my new activity. 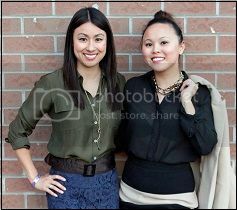 She's a co-owner of the SPIN empire and Toronto is the first Canadian franchise. 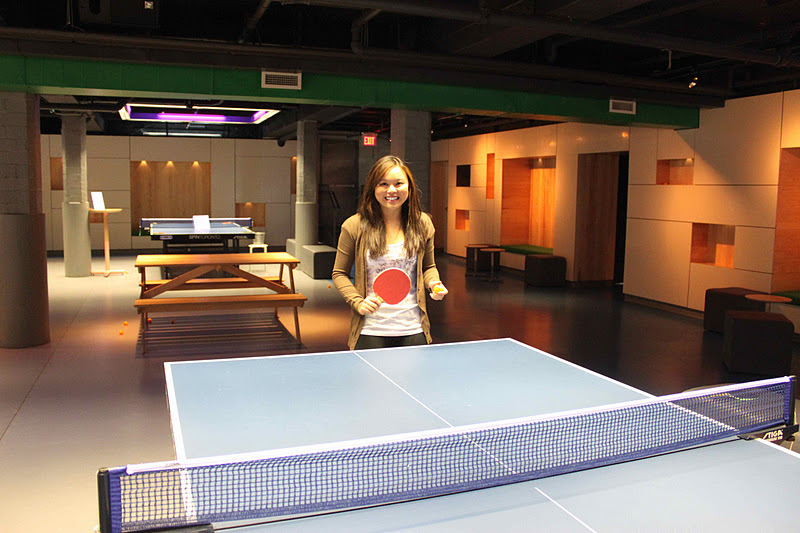 You don't need mad skillz to enjoy playing ping pong. After about five minutes or so, I started to get the hang of it and your heart rate really gets going from focusing on that ball. All the hours you may have spent playing ping pong at camp, in a church basement or at some kid's house will come flooding back to you. Court rates are pretty reasonable, especially when you compare it to bowling (no shoe rentals!). 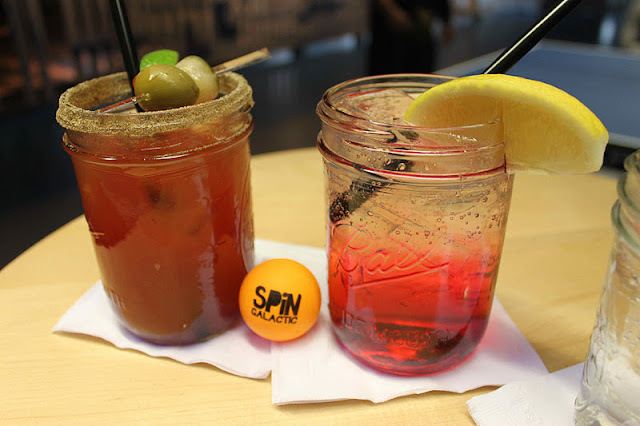 At SPIN Toronto, you're looking at $20/hour before 5 PM if you're a non-member. Just make sure you call ahead to book a table - they fill up fast. After 5 PM, the rate goes up to $28/hour, so bring friends. It's more fun that way. Ladies also note - this place is boy hangout central!!! 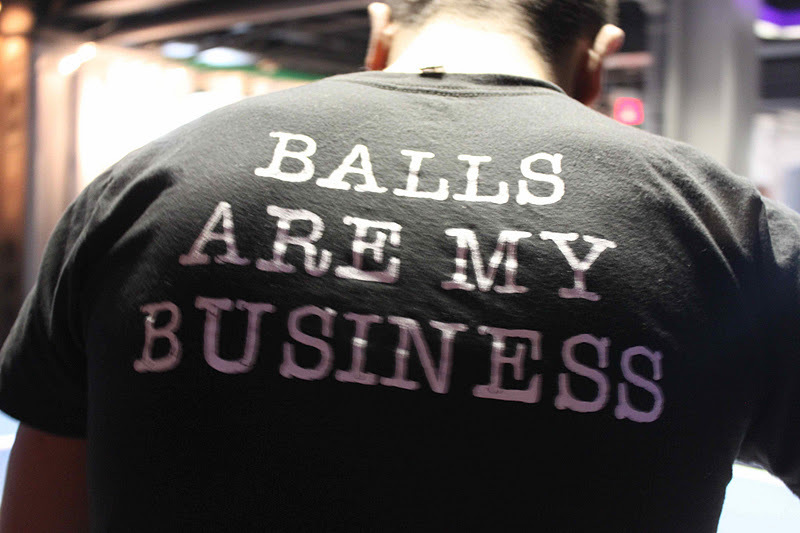 Ping pong is the new pool table, but a little geekier and OK by us. 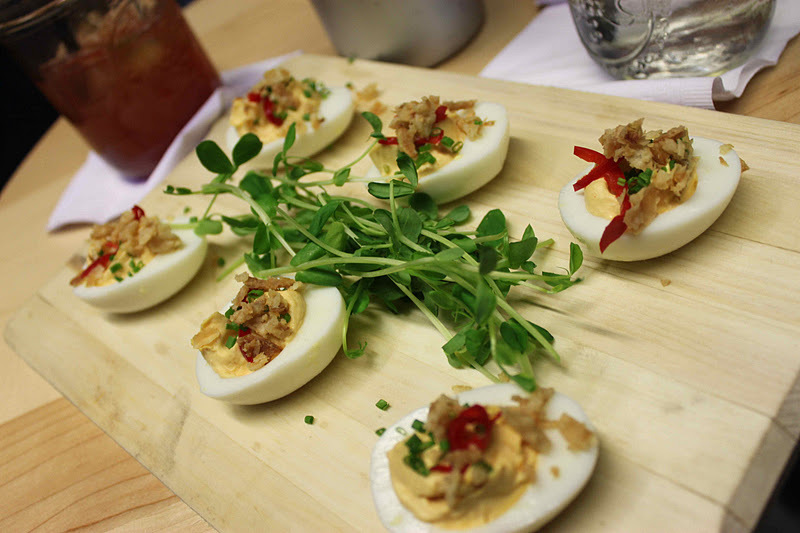 The retro menu by Executive Chef, Jon Lovett, includes comfort food favourites like Deviled Eggs ($5) with chili, chives and crispy shallots (above). We also spotted lobster rolls, sliders, grilled cheese, tacos, pretzels and sloppy joes on the menu. SPIN also does a fun snack menu at $3/each or $8/three choices that includes BBQ Popcorn, Crunchy Chickpeas, Crispy Onion Stack, Honey Roasted Almonds and my favourite, Bourbon and Bacon Caramel Corn. Finally getting a bit better and delivering some serious ping pong smackdowns. I was actually really surprised at how much fun I had, plus I squeezed in a bit of activity. Looking for creative ways to stay active? Get inspired from our 'Activity-A-Week' series!